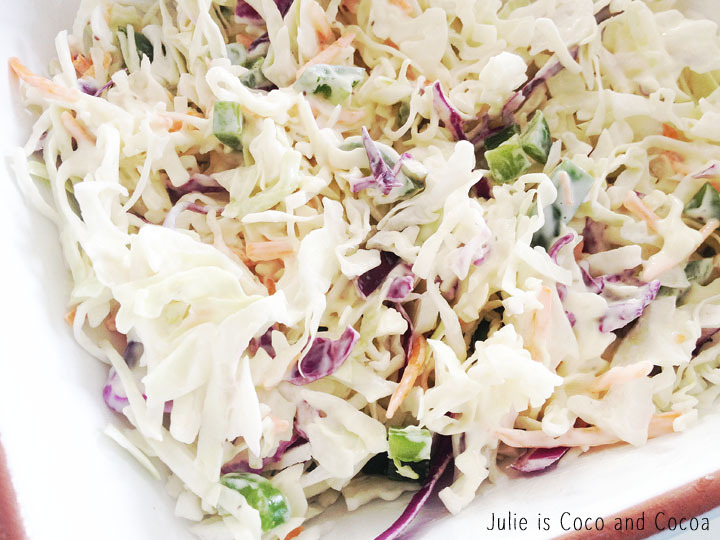 Tex-Mex coleslaw, this is coleslaw with a kick. And it’s just the thing to serve at your next barbecue. A few years ago my husband and I were vacationing near San Antonio and ended up at this great restaurant. I ordered the coleslaw, without reading the description that it was actually jalapeño coleslaw. While my mouth was certainly surprised after that first bite, it was a side dish that I’ve never forgotten. I thought it was time to recreate it at home. 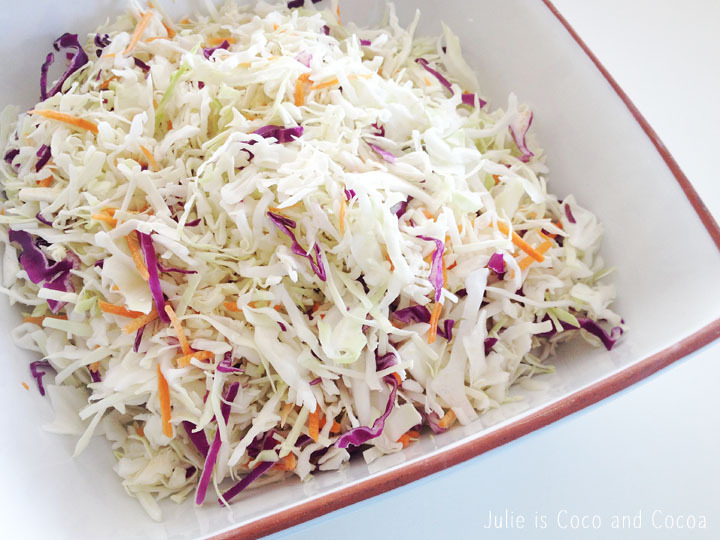 Start with shredded cabbage and carrots. You can use a couple varieties of cabbage, like green and purple, to give it some color. 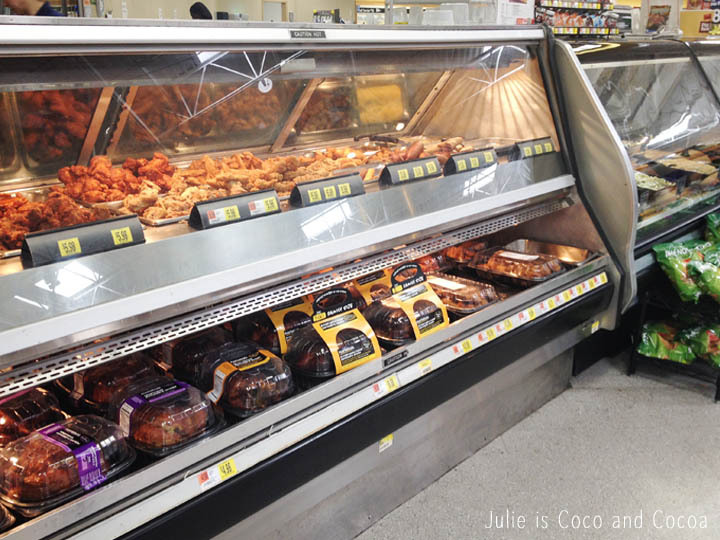 For a shortcut you could also grab a package of coleslaw where the other bagged salads are. Now you add that tex-mex kick. I seeded and chopped up two jalapeños to add to my coleslaw. For more spice, leave the seeds. For less spice, add fewer peppers. You can completely customize the spiciness level to whatever you are comfortable with. 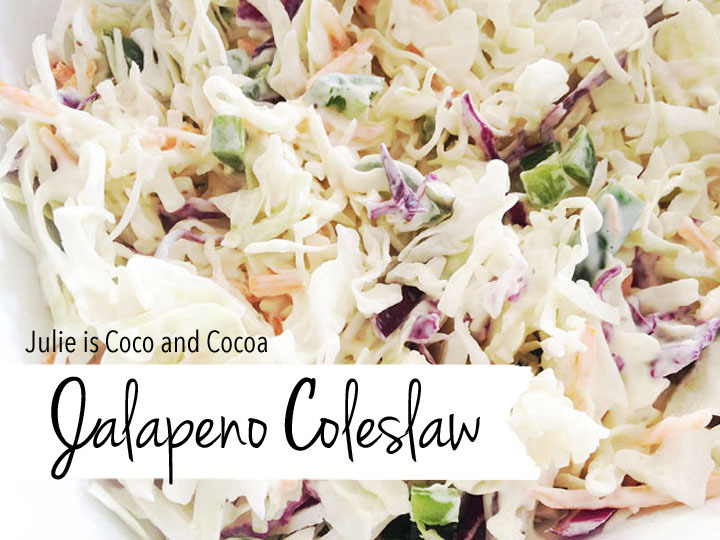 Mix the chopped jalapeño pieces in with your coleslaw. Now it’s time to add the dressing. Once again, you can make a from scratch dressing. 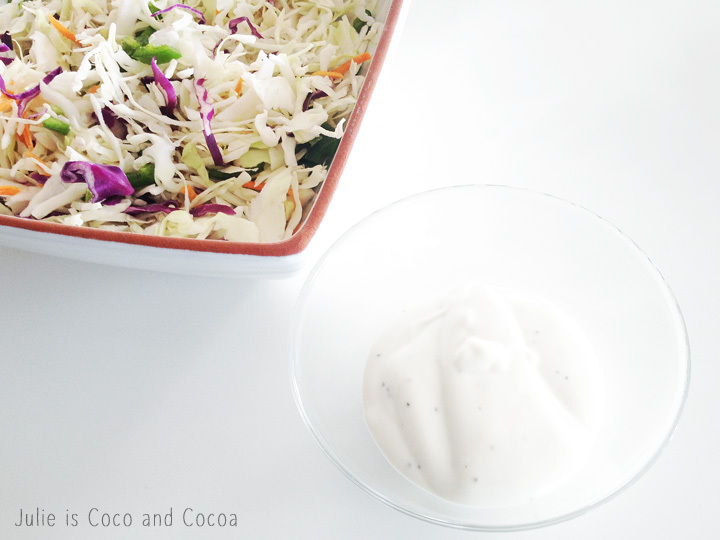 Or you can purchase a bottle of coleslaw dressing from Walmart when you are there getting your other ingredients. 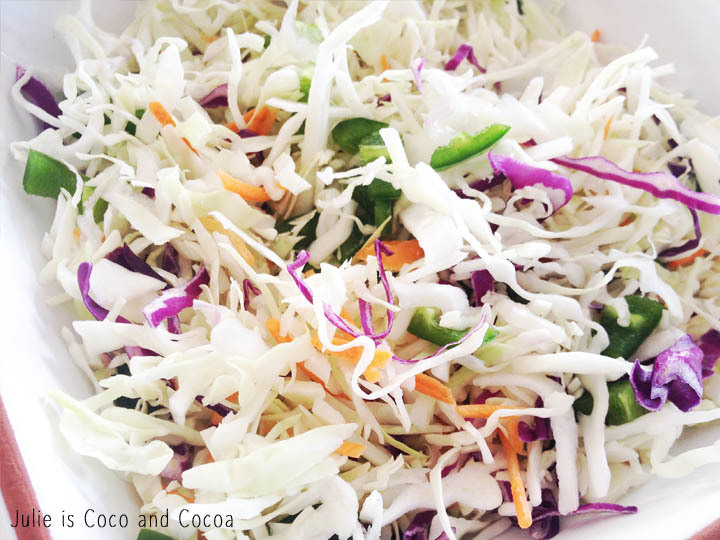 Mix in the dressing with your cabbage and other vegetables. A fun way to change up a traditional summer side dish. Maybe just warn your guests before they start eating. I’m going to serve mine alongside some fried chicken that I picked up at the Walmart deli. 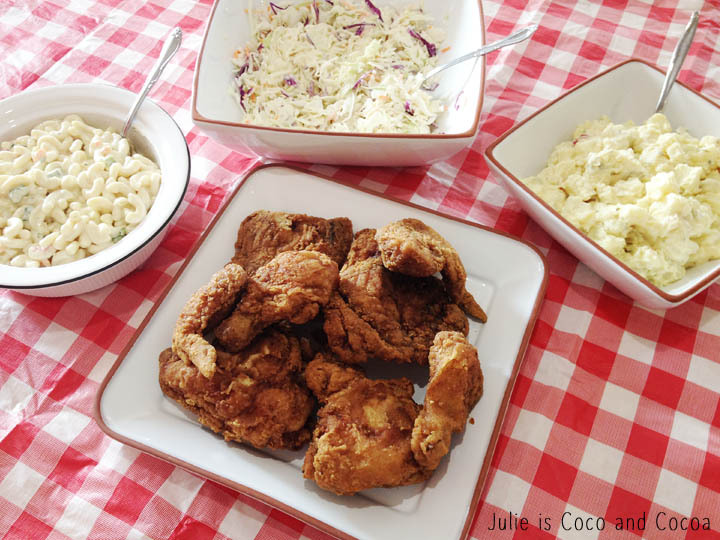 I’m also serving some more traditional 4th of July fare with my jalapeño coleslaw and fried chicken. Some of our favorites are potato salad and pasta salad. Deviled eggs are also a must have at almost any gathering. 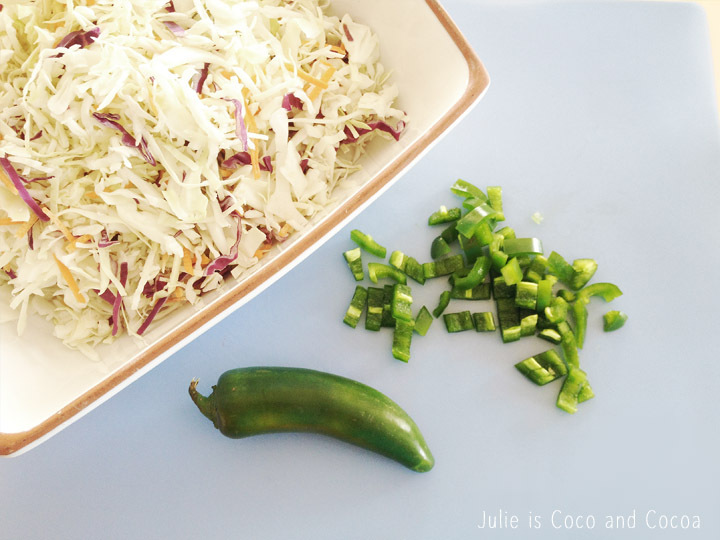 Why have I never thought to put jalapenos in coleslaw? This looks soo good. I’m adding it to my recipe file!